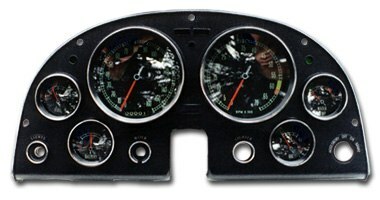 At Auto Instruments .com we have the experience to do your job right. We have literally thousands of restoration pieces available at our disposal to assure your instruments are correctly rebuilt. We can rebuild all types of instruments for automobiles, tractors, and boats. Some brands include King Seeley, Autolite, Stewart Warner, Waltham, Northeast, and Faria, among others. Below is a list of restoration services we provide for automobiles. 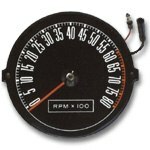 Speedometers We rebuild and calibrate all automotive speedometers to factory tolerance. Tachometers Tach circuits and meters are balanced, repaired, and calibrated to assure accuracy. 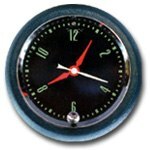 standard movement) We can rebuild any automotive clock and update virtually any clock to transistorized quartz movements. These operate on 6 or 12 volts, not batteries. 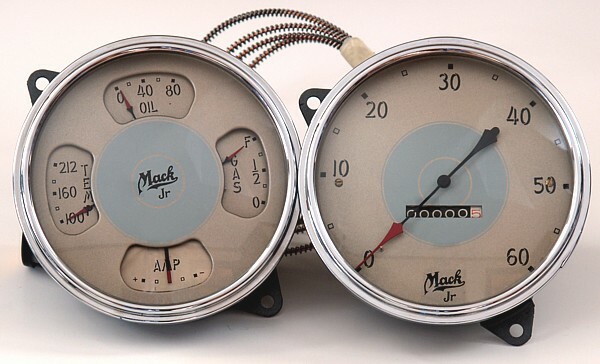 Gauges We can rebuild and calibrate all gauges to factory specifications. Lense polishing Most plastic lenses can be restored if not milky or yellowed. Scratches are hand-sanded and lense is polished on special machines with rouge for an as-new appearance. & Rechroming We rechrome existing chromed plastic parts and repair broken or damaged plastic . Cluster Restoration We rebuild, calibrate, and restore to show quality all instrument clusters. Some of the work perfomed includes: rebuilding and calibrating all instruments, stripping and re-shooting all pointers, acid bath and reseal all dials, lense polishing, silkscreening available if necessary. Cluster restoration and special orders are difficult to quote over the phone without actually seeing what needs repair and what needs restoration. We recommend you send the item to us and ask for a "Free Estimate". When we receive your parts we will assess their conditions and make an accurate cost estimate for repair. 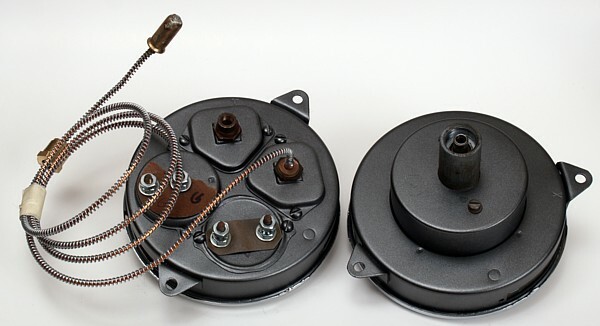 If, for any reason you do not wish to have the service performed we will be happy to return the parts to you free of charge. There is NO obligation, and you will never be charged for anything without first being quoted a fair price. No Surprises! We always rebuild your parts - never do we exchange anything. You may be assured the parts you receive are the same parts you sent. Backed up with our exclusive one year warranty! 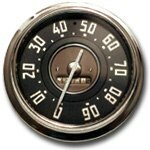 All work performed by "AutoInstruments.com" is warranted for a period of one year. Warranty is voided when defect(s) is determined to have been caused by improper installations either by the customer of the installer. We are not responsible for any expenses incurred in the removal and reinstallation of warranty items. Our warranty covers the repair and replacement of defective parts only. Please send part back to our shop - shipping prepaid!